High accuracy ranges from 6millohms to 6ohms. Data logging with up to 1,000 readings stored with date and time stamp. 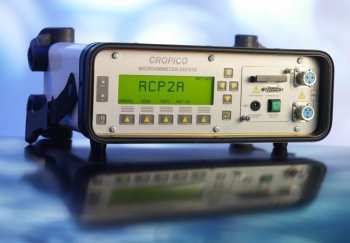 The DO7010 is a very rugged and very compact, portable digital ohmmeter for the measurement of low resistance. Using rechargeable and replaceable NiMh batteries with external charger, the DO7010 is capable of measuring with a current of 1 and 10A on all except the highest range. The DO7010 has been designed with the latest solid state and microprocessor techniques to ensure the very best in measurement reliability and features. The LCD graphic display panel gives full information regarding the measurement configuration, and a single measurement start button ensures that the operation is simple and easy to use. The measurement may be triggered when the measurement leads are applied to the device under test, ensuring fast single-person operation. The data-logging function also permits up to 1,000 date and time stamped readings to be stored.